Kelly Kelleher is an idealistic, twenty-six-year-old “good girl” when she meets the Senator at a Fourth of July party. In a brilliantly woven narrative, we enter her past and her present, her mind and her body as she is fatally attracted to this older man, this hero, this soon-to-be-lover. Kelly becomes the very embodiment of the vulnerable, romantic dreams of bright and brave women—drawn to the power that certain men command—at a party that takes on the quality of a surreal nightmare. 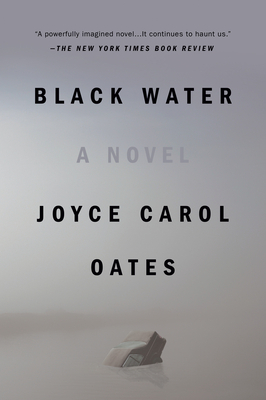 One of the acknowledged masters of American fiction, Joyce Carol Oates has written a bold tour de force that parts the black water to reveal the profoundest depths of human truth. In addition to many prize-winning and bestselling novels, including We Were the Mulvaneys, A Book of American Martyrs, Black Water, Because It Is Bitter and Because It Is My Heart, and Broke Heart Blues, Joyce Carol Oates is the author of a number of works of gothic fiction including Haunted: Tales of the Grotesque, a World Fantasy Award nominee; and Zombie, winner of the Bram Stoker Award for Best Horror Novel, awarded by the Horror Writers’ Association. In 1994, Oates received the Bram Stoker Lifetime Achievement Award in Horror Fiction. She is the editor of American Gothic Tales.